If you are looking for multi-faceted contractor services, look no further! We are a comprehensive resource and contractor for all of your roofing-related needs including installing beautiful new roofs, leaky roof repairs, relief from storm damage, roof cleaning, and roof maintenance, among others. 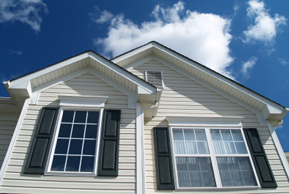 We are not limited to just roofing, as we also service windows, siding, skylights, gutters, and ventilation. We are located in Berwyn, PA and service parts of Montgomery, Chester, and Delaware counties including King of Prussia, West Chester, Newtown Square and more! If you do not see your area listed here please give us a call at (610) 644-6450 to see if we service you. Thank you. Contact us today to see how Dunbar Roofing and Siding Co. can help you with your contracting needs! Call us at 610-644-6450 or click below to receive a quote. Dunbar Roofing & Siding Co.